There are no state regulations requiring shoes or other footwear to be worn by customers or patrons in food establishments in Massachusetts. It is possible, however, that individual cities or towns may have adopted their own ordinances, bylaws, or local regulations which require the wearing of shoes. And in Massachusetts in the early 1970s, a spate of Health Departments enacted anti-barefoot ordinances. 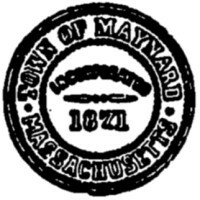 Pursuant to the provision of Massachusetts General Laws and Annotation, Chapter 111; Section 31, notice is hereby given of the following Health Regulation, duly enacted by the Board of Health in the Town of Maynard. Maynard is not the only one. I’ve previously looked at municipal ordinances, and I’ve found them throughout Massachusetts, in Franklin, Lexington, Provincetown, Truro, Uxbridge, and Yarmouth. I suspect that one place did it, and then a bunch of neighboring places jumped on the bandwagon. I’m also quite certain that they didn’t suddenly have an outbreak of disease associated with bare feet that required these ordinances. What they had was an outbreak of hippies or other people appearing barefoot that offended the “sensibilities” of the townsfolk, and this is how they reacted, in ignorance and prejudice. These ordinances are still sitting on the books, fossils of an earlier age and a testament to that ignorance and prejudice. I don’t see them being removed any time in the future, either. And in the end, barefooters need to be careful (or I should say, precise) in their statements. One thing we don’t need is to make a claim that gets accurately rebutted. That can put all our claims about the benefits of going barefooted in doubt. Thanks for this clarification, Bob! Do you happen to know if anyone’s clarified for Boston or Cambridge specifically? I’m looking to go out canvassing businesses tomorrow and want to be sure I’m clear on the right details. Thanks for the links! I emailed Boston this morning and called this afternoon, but their office closes at 4pm and I just missed it. Will try tomorrow morning again. Preston Curtis of the New England Barefoot Runners assures me he’s gotten clearance by phone from the Cambridge health department (his brother owns a restaurant and required it to host an event) but he doesn’t have it in writing yet, either.